Petrol’s way more expensive than it should be thanks to oil barons controlling supply and government taxes that bump up the price so no wonder most of us ask where we can find the cheapest petrol stations in the UK. Thankfully we’ve tracked down the best prices at the pump so you don’t have to waste fuel driving around the country. To gauge whether your local petrol station is ripping you off or not, check out the average prices for fuel in the UK. The following figures are in pence per litre. 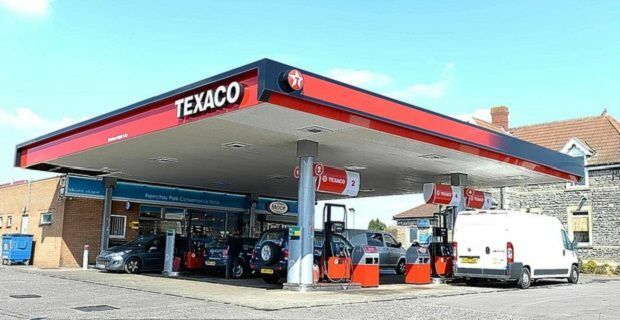 The cheapest prices for fuel in the UK are only found in certain places so don’t drive around looking for fuel at the following price per litre. You’ll already know that fuel bought at supermarkets is normally cheaper per litre than the same type of fuel bought at the major oil providers so check out the prices on offer at your local supermarket pumps. The fuel they sell is provided by the oil companies but it’s not treated with the cocktail of additives that you’ll find at the pump when you fill up with Texaco or Shell so there’s some evidence that suggests that supermarket fuel is less efficient, and therefore offers less miles per gallon. If you’d like to find out online where to get the cheapest fuel, you’ll need to check out a site like petrolprices.com. As the price is determined by the region in which you live, you’ll need to input your postcode to get a list of the petrol stations in your radius and the current prices they charge for fuel. If you regularly visit someone in another county, why not check out the price of fuel near them too?